The Nigerian born model who was discovered in Nigeria had an impressive year last year and she hasn't taken her success for granted. She has landed her first major gig for the year, an ad campaign for fashion brand, Ralph Lauren. 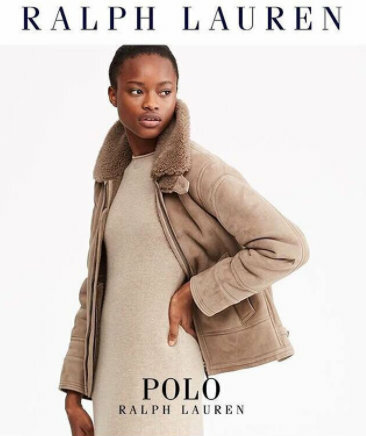 She is seen wearing a jacket and a dress; both by the brand in this ad campaign.